Mash the potatoes; mix all the above ingredients except ghee. On a thick plastic bag /sheet place a tennis ball size ball of the mixture and pat it into a round roti shape. Heat a non-stick pan, gently transfer the paratha on it. Put ghee around the paratha. Cook on both side to a nice golden color. 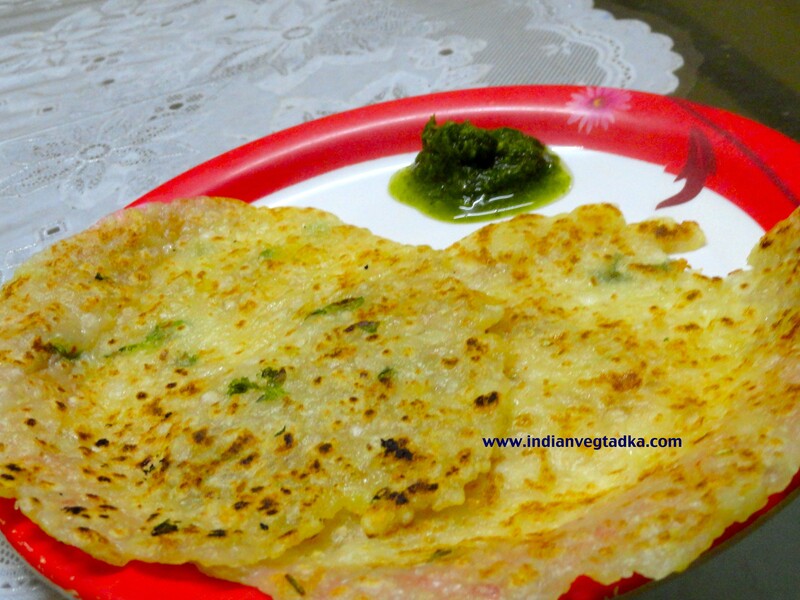 Serve with green chutney /curd or coconut chutney. ha ha ha hope you and family enjoyed it very much. Looks very delicate and attractive. I like sabudhana and this is a great idea!